Support for VPNs has been built into the iOS for some time. However, this has been a less than granular process, with users required to switch the VPN on and off themselves and all running apps have been given access to the VPN as well. 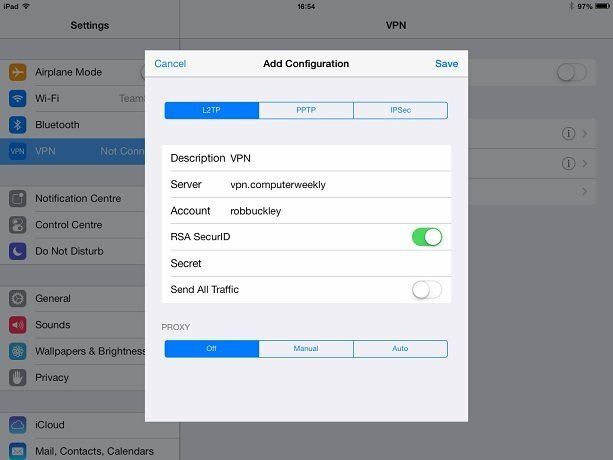 iOS 7.0 now allows IT to configure specific apps to switch on VPN access when they launch and for that access to be restricted to specific apps, so that personal browsing, for example, doesn’t get routed through the corporate network, reducing network traffic and reassuring employees who have bought their own devices that they still have some privacy. The facility will require OS X 10.9 on your configuration machine before it can be deployed, if you’re using Apple Configurator, however, although some third-party MDMs already support it. It’ll also require the apps themselves to be updated to use the service.